Hi, I’m Laura, the voice behind Family Spice. I’m a stay-at-home-mom to three glorious children and a wife to one heck of a lucky man. We live in mostly sunny San Diego and we love our life here! We are a scouting family, hubs is the scoutmaster to my boys’ Boy Scout troop. My daughter is the youngest and is totally into singing and dancing and just being silly. I started blogging in 2008 as a way to express myself creatively. I left my career in advertising as an account executive and graphic designer to stay home and raise my kidlets. Even as a kid, I enjoyed cooking and helping my own mother in the kitchen, from Persian food to Cajun. Cooking new things never intimidated me. And today with a meticulous husband who refuses to eat a boring casserole, I found myself searching for meals that would satisfy all five of us every single night. My cooking experience gave birth to this blog. Getting creative in the kitchen, combining fresh ingredients, contrasting flavors, exotic spices and multiple cooking techniques from all over the world continues to be my passion today. My philosophy to cooking is: Make it fresh, make it pretty, make it delicious. But more importantly, if you can read, you can read a recipe. And if you can read a recipe, you can cook. Kinda like in the movie, Ratatouille. 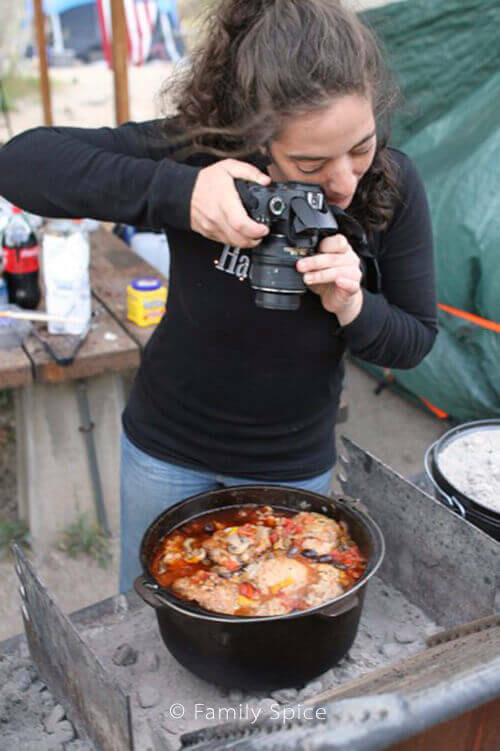 Because we are a camping family, I found myself cooking outdoors all the time. My husband and I brought gourmet meals to our campfire cooking, as well as to our scouting families. 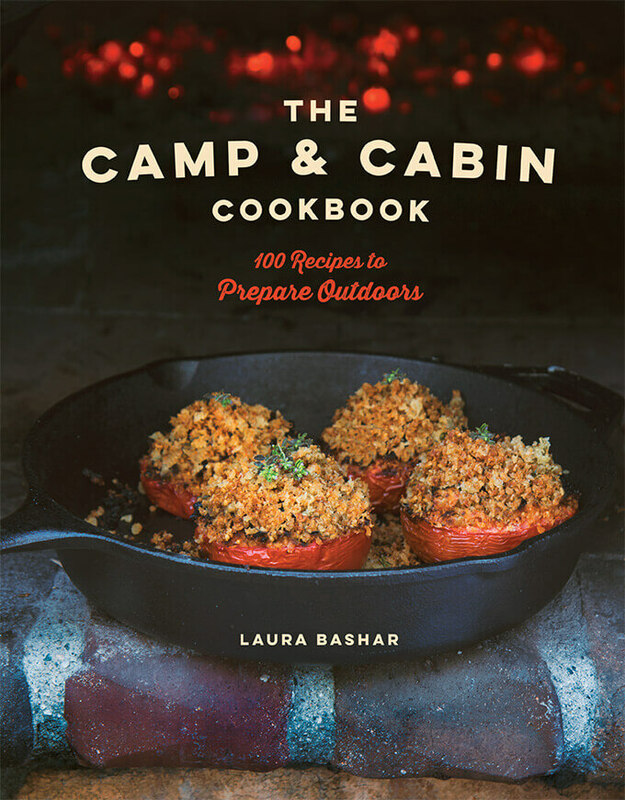 This passion for preparing fabulous meals over the fire inspired my second cookbook, The Camp and Cabin Cookbook (May 2018 Countryman Press). 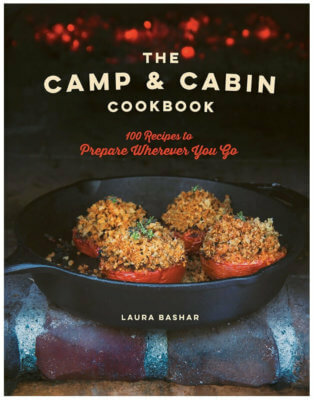 I created and photographed 100 recipes that you can prepare outdoors over fire using a number of different techniques: grilling, foil cooking, ash cooking, Dutch oven cooking… The recipes feature my cooking philosophy of using fresh ingredients to create beautiful and delicious food. 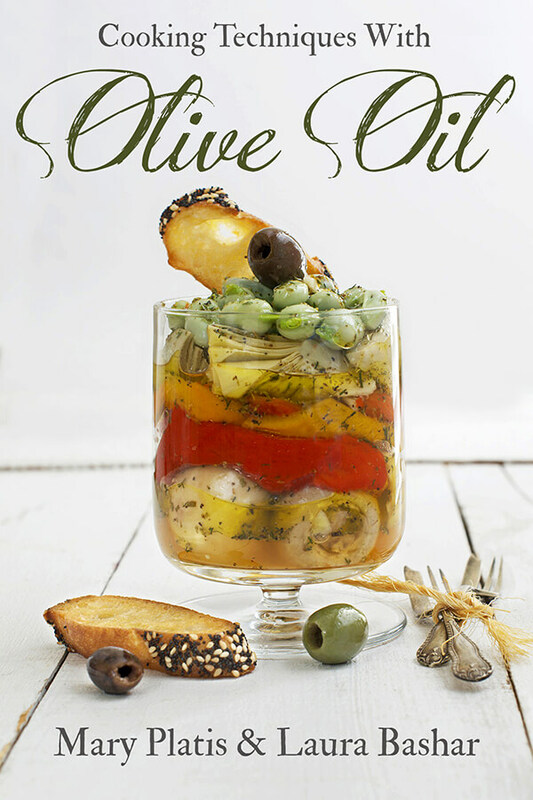 For my first cookbook, I collaborated with fellow food blogger, Mary Platis (California Greek Girl), to design, write and photograph Cooking Techniques with Olive Oil. Our ebook received the Gold medal winner of the Global Ebook Award from Dan Poynter. The response was so positive that we were encouraged to bring our book to print. And we did. Mary and I have self-published our own 132-page hardback cookbook. 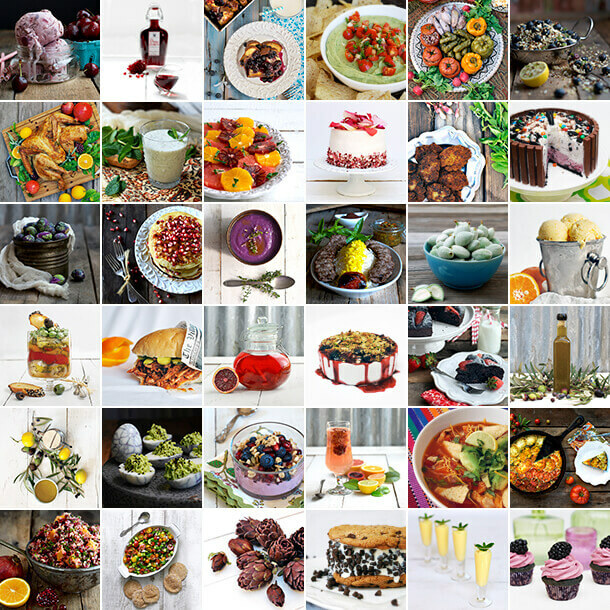 We added more information, more recipes and more photographs! My graphic design background came in handy as I did all the photography and book design myself. Educating the world about extra virgin olive oil has grown into another passion of mine. We are so extraordinarily careful about the ingredients we cook with and put into our bodies yet so many of you are cooking with rancid, poor quality oils. And with all of the myths out there about cooking with extra virgin olive oil, Mary and I tackle them all. To learn more, you can purchase our cookbook here. My passion for photography began at a young age. My father gave me my first camera, a Pentax, and he also gave me the photography bug. I took classes, joined my high school newspaper, developed my own film and photographs in the dark room, and began shooting sports events for my community newspaper. I was an intern at The Houston Chronicle where I learned all about photo-journalism. But my very science oriented family convinced me to not pursue a fine arts degree in college. I graduated from the University of Arizona with a business degree. And here I am, some years later, doing what I still love the most: photography. But this time, food photography. I not only do all of the photography on my blog and my cookbooks, but I also do free-lance food photography for companies, too. You can see my portfolio here. To sum up who I am: I love getting creative in the kitchen. I love photography. I hate washing the dishes. For advertising and PR requests, you can learn more here or just email me at Laura AT familyspice DOT com.